A native of Philadelphia, Robert Mueller has served as director of the FBI since September 2001. He graduated from Princeton University in 1966 and later earned a master’s degree in international relations at New York University. After college, Mueller joined the US Marine Corps serving as an officer for three years, and leading a rifle platoon of the Third Marine Division in Vietnam. Following his military service, Mueller earned a law degree from the University of Virginia Law School in 1973 and served on the Law Review. He then worked as a litigator in San Francisco until 1976, followed by 12 years of service in U.S. Attorney’s Offices, first in the Northern District of California in San Francisco, where he rose to be chief of its criminal division. In 1982, he moved to Boston as an Assistant United States Attorney, where he investigated and prosecuted major financial fraud, terrorist and public corruption cases, as well as narcotics conspiracies and international money launderers. Mueller served as a partner at the Boston law firm of Hill and Barlow before returning to public service. In 1989 he served in the Department of Justice (DOJ) as an assistant to Attorney General Richard L. Thornburgh. The following year he took charge of DOJ’s Criminal Division. In 1993, Mueller became a partner at Boston’s Hale and Dorr, specializing in complex white collar crime litigation. 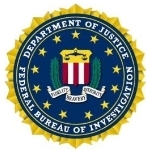 He returned to public service in 1995 as senior litigator in the Homicide Section of the District of Columbia United States Attorney’s Office. 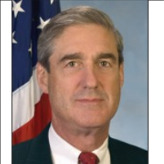 In 1998, Mueller was named United States Attorney in San Francisco and held that position until 2001.